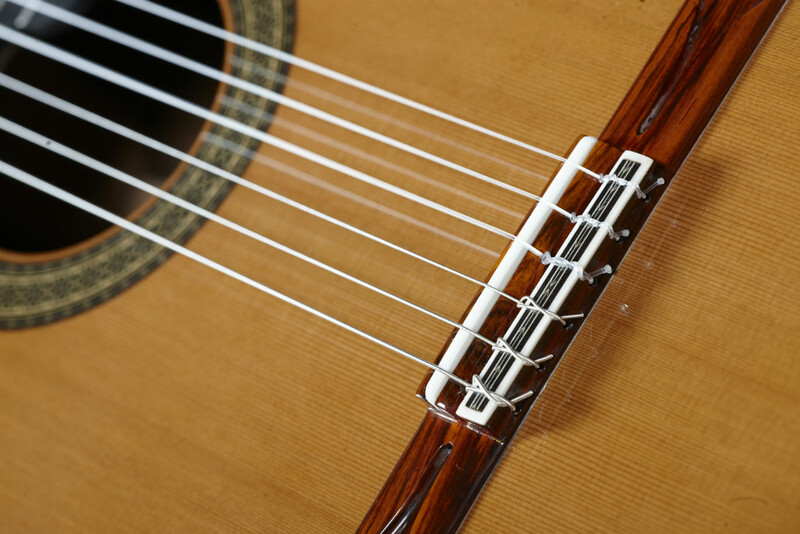 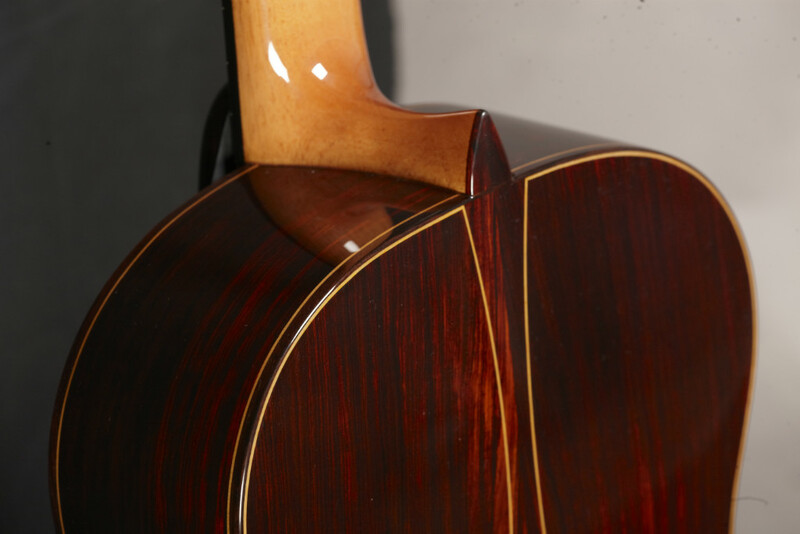 Just touching it is a sensual experience, the beautiful finish; I should say the perfect finish, the incredible quality of Solid German Spruce top with very tight and regular nodules all across it. 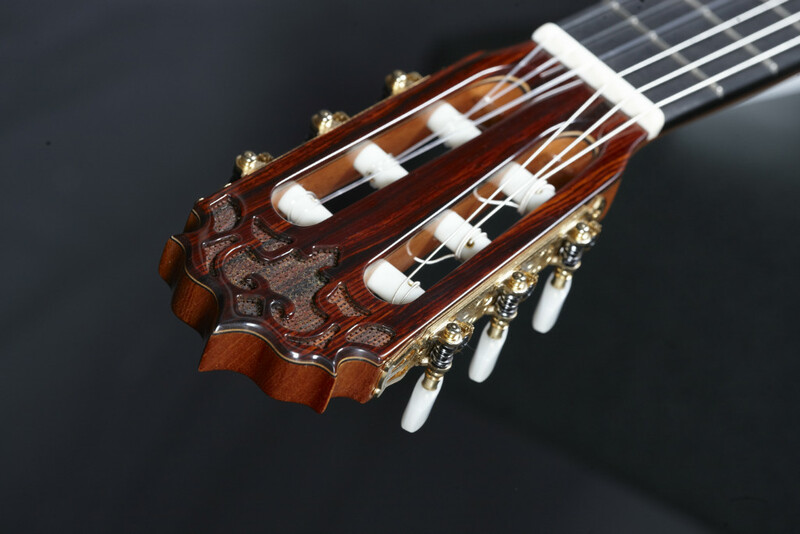 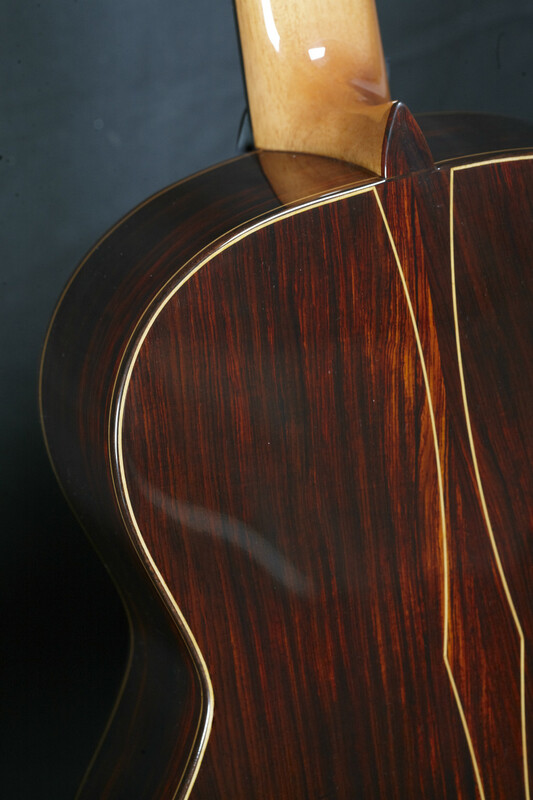 The back and sides are made of gorgeous Brazilian Rosewood.The revolutionary floating bracing pattern gives it a really phenomenal tone and projection, amazingly rich and refined. 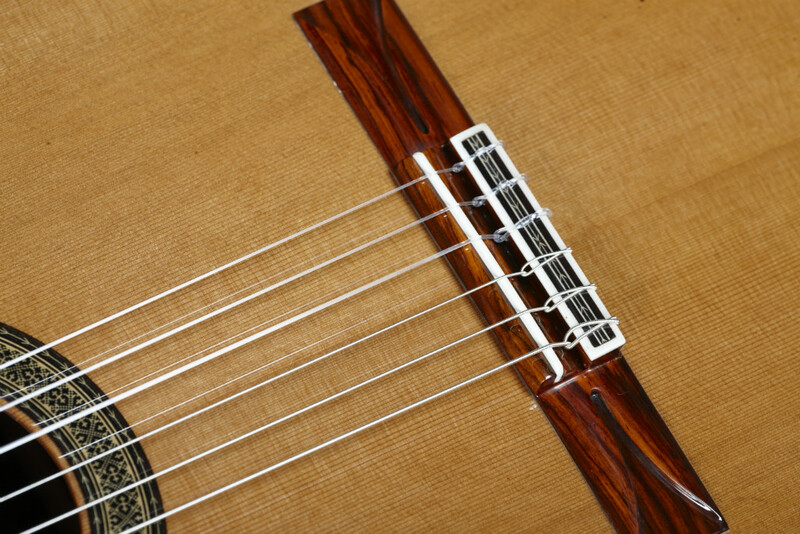 Its fullness, tone quality, craftsmanship, volume, projection, and playability are superb. 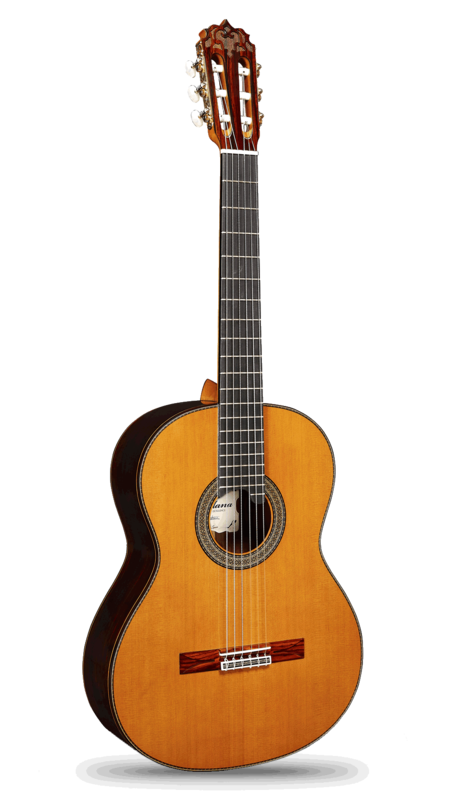 This guitar is a wonderful example of the fine work of the luthiers at Alhambra. 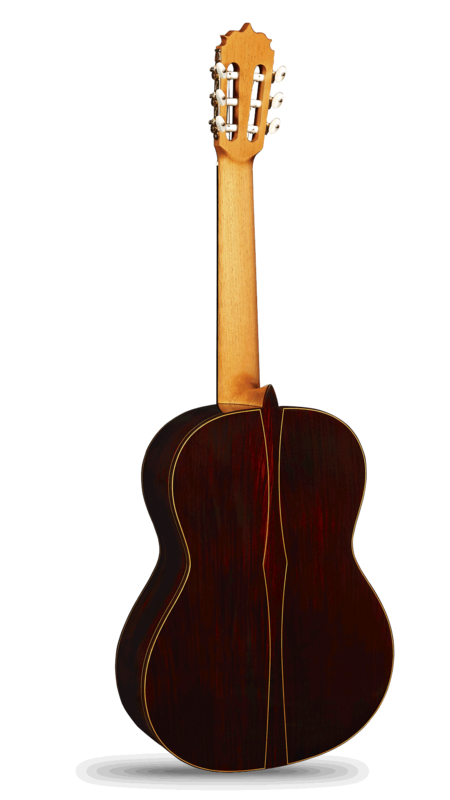 This is by far one of the best guitar you have played. 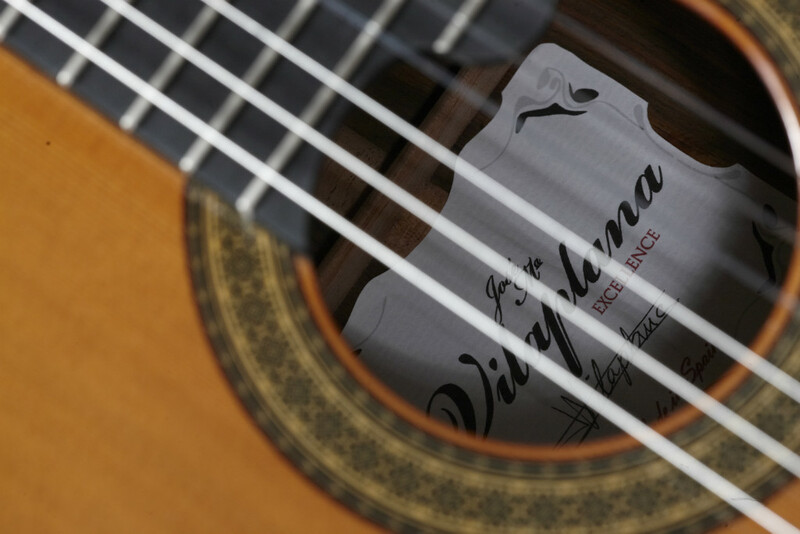 You now explore the endless possibilities of tone for new interpretations.